On Thursday night [Oct.3], my past and present Rome worlds met one another when the entire Rome program of the Catholic University of America and Loyola University Maryland descended upon the Lay Centre at Foyer Unitas to welcome U.S. 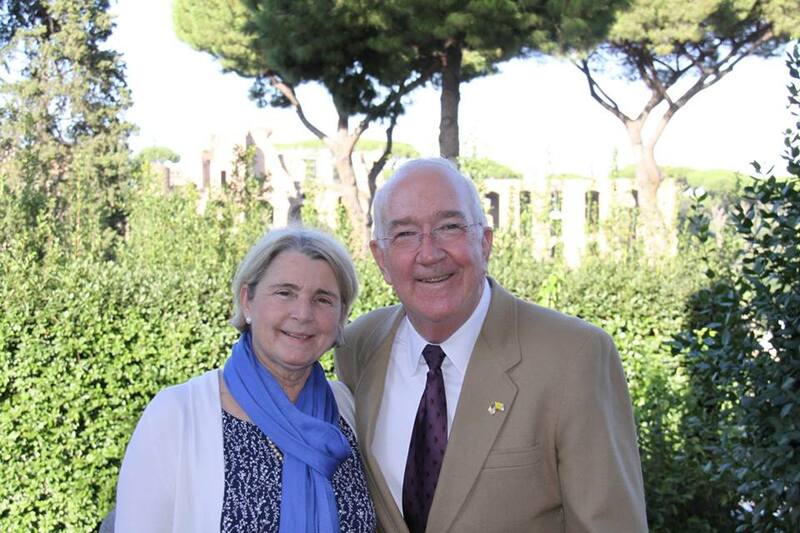 Ambassador to the Holy See Ken Hackett and his wife, Joan, on their twelfth day in Rome. His predecessor, Prof. Miguel Diaz, was a theologian serving as the link between the U.S. government and the theologian-pope Ratzinger. Now we have the recently retired head of caritas in the U.S. representing the government to the very service-oriented successor of Peter. Whatever else one can say about President Obama, his picks for US Ambassador to the Holy See have been more spot-on as genuinely Catholic picks than any president in our history – judged on pastoral and theological, rather than political, qualifications. If that were the only criterion (it is not, to be sure) he would be the most Catholic president we have ever had. Reflect on that for a moment…! If I were to sum up the Ambassador’s approach, it is that he intends to have fun the next three years. Not, “fun”, as in he’s going to spend his entire assignment on a yacht in the Mediterranean or something. But, fun, as in, here is someone who has lived the “poor church for the poor” after 40 years in Catholic Relief Services, and is coming to Rome just as we have a bishop imbued deeply in the spirit of the poverello of Assisi. An interesting historical note: Ambassador Hackett is recipient of the 2012 Laetare Medal, the same honor which the shortest-serving US Ambassador to the Holy See, Mary Ann Glendon, a Harvard law professor, refused in 2009 so that she would not have to share the platform with President Obama, who was receiving an honorary doctorate that year – as have all U.S. presidents since Eisenhower. Brutta figura or principled stand? A bit of each, I think. The voicemail was indistinct there almost too much distortion to hear the speaker at the other end. Only after a third attempt could I recognize the familiar Australian accent of Dr. Margie Richardson, wife of Canon David Richardson of the Anglican Centre in Rome. 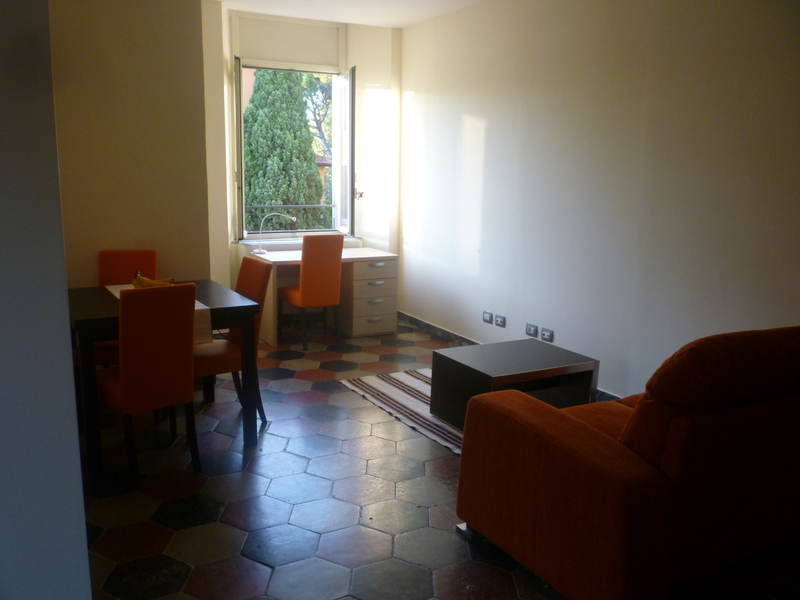 Even in Rome, that does not happen every day! How could I say no? His Grace started this morning at San Gregorio Magno, the point from which Gregory the Great sent Augustine to Canterbury to evangelize more of the British Isles, and where the Archbishop and the Pope Benedict celebrated a solemn vespers together earlier this year to mark the 1000th anniversary of the Camaldoli community there. Then, with the Richardsons, Msgr. Mark Langham of the Pontifical Council for Promoting Christian Unity, and Canon Jonathan Goodall, theologian-ecumenist of Lambeth Palace, the Archbishop toured the Passionist-operated Basilica of San Giovanni e Paolo, and received a brief tour of the Lay Centre and Passionist gardens, including the remains of the Temple of Divine Claudius. After admiring our view and a few moments of gracious conversation, they were whisked away in Vatican state cars to the Anglican Centre for lunch and preparation for the Archbishop’s address to the Synod of Bishops this evening.